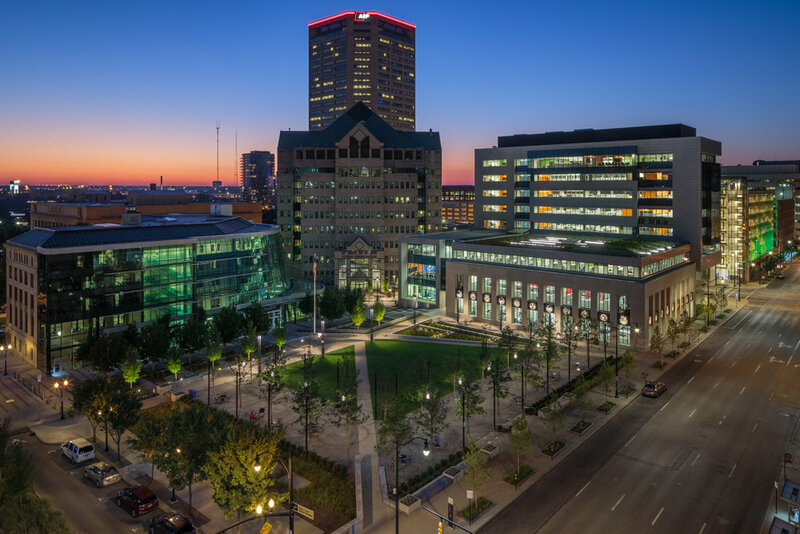 Schooley Caldwell and DesignGroup designed the Michael B. Coleman Governmental Center, a new, 195,000 square foot office building for the City of Columbus. 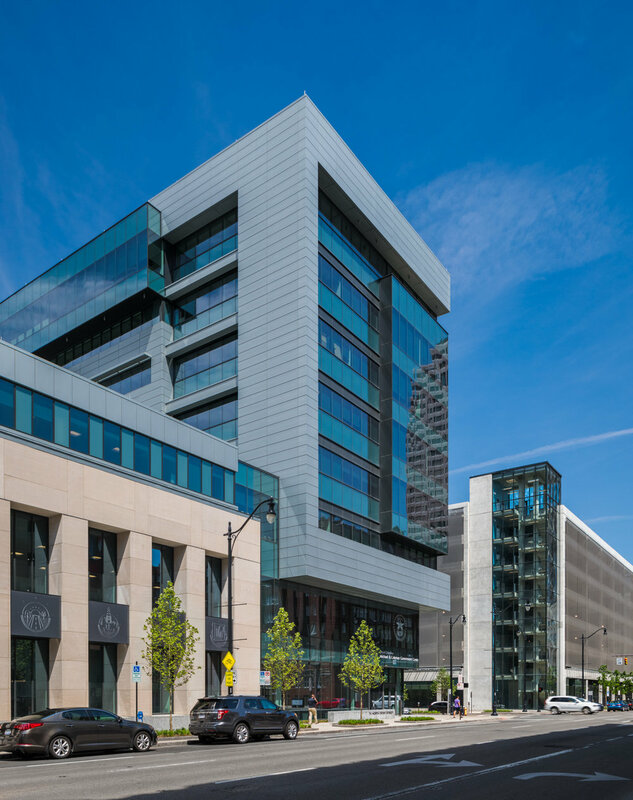 The new facility consolidated four departments previously housed in different buildings around Columbus and was designed as an efficient “one-stop shop” for residents and businesses to take care of a multitude of City-related transactions, including utility payments, building permits, and more. 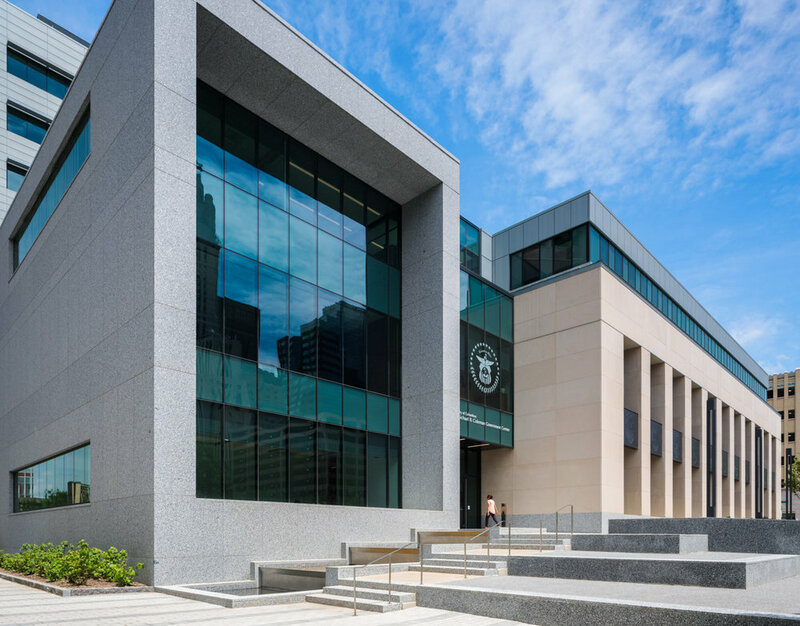 The building is comprised of a three-story portion, designed to pay homage to City Hall with tall windows, pilasters, and limestone veneer, and an 8-story tower built of glass and zinc panels. A central concourse houses most of the public functions to allow for easy “in and out”, similar to a retail shop. A team of local artists worked with the design team to integrate art into both the building and the site. The project is pursuing LEED certification, and construction was completed in early 2018.